ABOUT-China Dispersion kneader|China Internal Mixer|Mixing mill|Rubber kneader �CChina Dalian Second Rubber & Plastics Machinerry Co., Ltd.
One of the earliest production of rubber and plastic machinery enterprise in China -Dalian Second Rubber &Plastics Machinery Co., LTD founded in 1972, integrated product development、 production、sales and services into a whole. The factory covers area of 150000 square meters and has 530 employees in total including 70 technicians and 15 senior engineers, 90% of the employees are skilled workers. 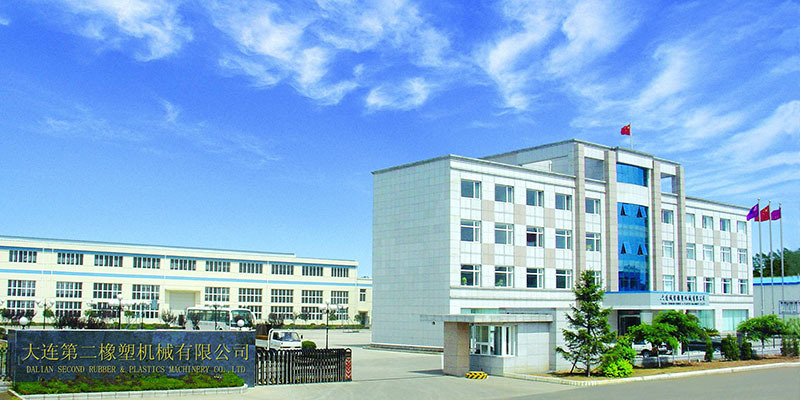 We specializes in manufacturing: Rubber kneader/ Dispersion kneader, Internal mixer/Banbury mixer, Open mill /Open mixing mill and related production lines. and already exported over 30 countries. We have provided equipments for the following customers: The Bridgestone Group, The Michelin Company, PRYSMIAN KABEL und SYSTEME GMBH, NOK CORPORATION etc.